Click here for the contents and preview. The book is addressed to those who are interested in self-organisation in living nature, biomimetics , organisational management, swarm robotics, artificial intelligence, complex adaptive networks design and even those who are fond of The Theory Of Everything. Biologists, managers, engineers, experts in computer science, and everyone who likes reading about living nature will enjoy fresh novel ideas, surprising discoveries and unique facts about animal life. “Divine Proportion”, or the Golden Ratio, has been known since antiquity and is found in all living forms and structures. But the reason behind the universality of this number was unknown. Through the study of ant societies, we are the first to reveal a hidden mechanism – the process that gives rise to “Divine Proportion”. We call this driving mechanism the “Fundamental Equation of Self-Organisation in Life”. This equation allows for the calculation of how a whole is greater than its parts. Taking ideas from biology for sustainable and efficient business management is very appealing. Living systems teach us that there are two types of death for a social system, but they also give us a direction for immortal existence. 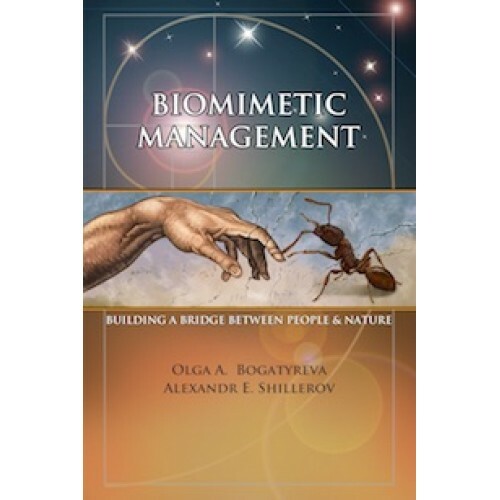 The ways that ants manage and survive in social and environmental catastrophes are presented in this book. You will find that ants are creative individuals; they have weekends off, work in teams and can change management styles on demand. And the most amazing discovery presented in this book is that social evolution can happen in two weeks’ time with­out natural selection. Ants teach us the way to think globally and act locally. A Periodic Table for human management in which all theories of management nicely fall into place crowns the content of this book and puts the first “brick” into building a bridge between people and nature.